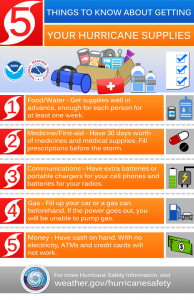 Posted in Sources of weather and climate data, Tools for climate and agriculture, Tropical weather, Uncategorized. Posted in Climate and Ag in the news, Tropical weather. 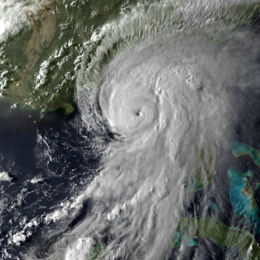 Hurricanes sometimes go through a cycle where their eye wall disappears as a new eye wall forms farther out from the center and tightens up. This is called an eye wall replacement cycle. 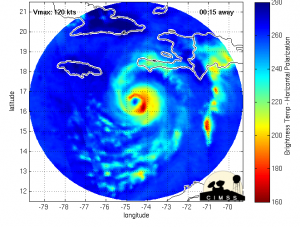 You can see one in Hurricane Matthew today at http://tropic.ssec.wisc.edu/real-time/mimic-tc/2016_14L/webManager/displayGifsBy12hr_06.html. Very cool! Posted in Interesting weather images, Tropical weather. 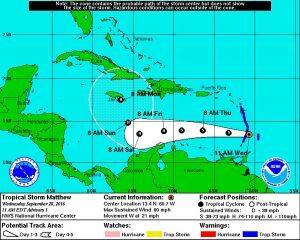 Over the course of the last day, Hurricane Matthew has grown tremendously into a Category 5 hurricane with winds of 160 mph over the southeastern Caribbean Sea. Very warm sea surface temperatures in the region are contributing to the rapid growth and will continue to affect it for the next few days…. Posted in Severe, Tropical weather. 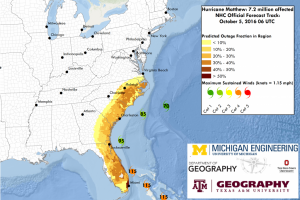 The Florida Climate Center has released a report which summarizes the development and impacts of Hurricane Hermine in Florida as it crossed across the Southeast a few weeks ago. You can find it at http://climatecenter.fsu.edu/images/docs/Hurricane_Hermine_Fla_summary.pdf.